Every girl dreams of being princess, so to turn their imagination into reality there is no better way than hosting a Cinderella theme birthday party. 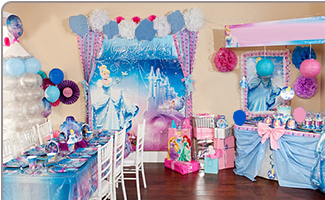 If you are in hunt of exciting Cinderella birthday party ideas in India, you can explore our collection of great Cinderella party ideas & supplies, to help you throw a royal party that every little princess will absolutely love! 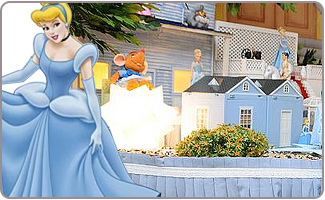 A great idea for the Cinderella birthday party is to host a princess party, encouraging all of the guests to come dressed in their best princess attire. 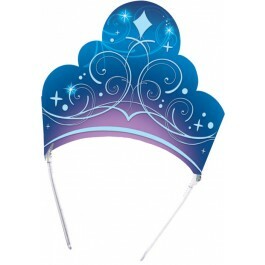 Order your Cinderella party supplies at least six weeks in advance of the set party date so that you can avoid any potential problems with supplier stock and shipping hiccups. Make bookings, order the cake, and send out the invitations at least three to four weeks in advance of the party date so that everything will run smoothly up until the day of the party. While you may not be able to get Cinderella a real castle for her party, you could hire a bounce castle that will provide a lot of fun and entertainment for everyone attending the party. Order our beautiful printed Cinderella birthday party invitations, and coordinating thank-you cards, to save yourself some time while planning the party. Get some glossy red card stock to form the base of your card and cut out the shape of a pumpkin from white glossy paper. 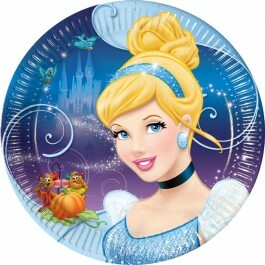 Use a silver pen to embellish the pumpkin and to draw wheels on what will transform into Cinderella's coach. Use phrases on the card to the effect of "You are invited to a royal ball, unlike any other!" 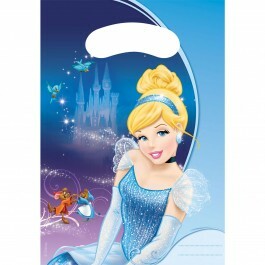 Use some cellophane to cut out the shape of Cinderella's slipper and glue it to your choice in cardstock. Use mod podge on top of the slipper so that it doesn't slip or become damaged before delivery. Write the party details on the back of the card invitation. You can also make a Cinderella gown invite by using a blue cardstock, cut it in shape of a gown and decorate it using glitters, sparkles and pearls. 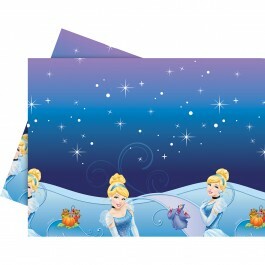 Some fun Cinderella party ideas for the invitation include dressing your birthday princess up in Cinderella's beautiful blue gown and using the image on postcard invitations that are easy to print with a quality photo printer. There are many stickers, die-cuts and templates that can give you the freedom to be as creative as you like when designing Cinderella party invitations. 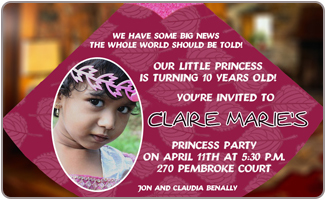 Consider allowing the birthday princess the opportunity to help design the invitations, she is sure to enjoy it. Some great Cinderella birthday party ideas for games include a version of bingo, using a Cinderella game board and pieces. Pass the glass slipper is a game much like pass the hot potato game. You can use a novelty glass slipper, found at any craft or wedding supply store. 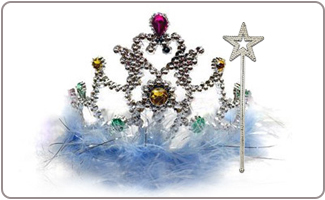 Set up a Bibbity Bobbity Boutique of your own, with dresses for the royal party guests to dress up, and lots of costume jewelry, tiaras, and even fairy wings. 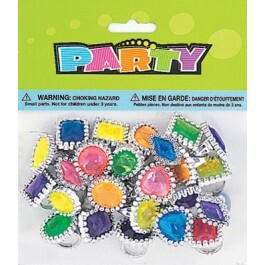 Get a great selection of beads and baubles for the party guests to create their own necklaces and bracelets. Play the Royal Ball Freeze Dance game, which entails having the princesses dance to great music and then freeze when the music stops. The princess that is still moving when the music has stopped gets to sit out until the next round! 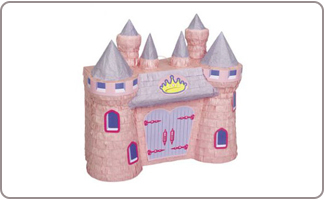 You can also have Pink Castle Pinata or any other theme pinata; fill it with goodies& glitters to shower upon lil royalties attending the party. 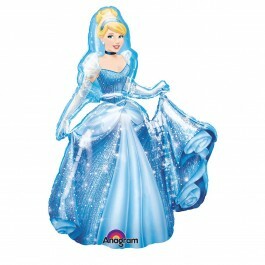 There are a lot of great Cinderella party ideas for return gifts, including sticker sheets, pencils, blow outs, whistles, yo-yos, and coloring books. 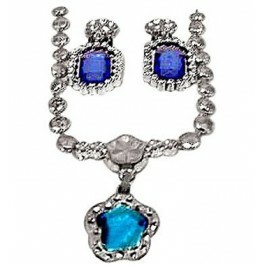 Costume jewelry, pretty baubles, tiara and wands are the perfect return gift for a little princess to take home with her. Lip gloss, bubble bath, body spray, and body lotion are just what every little lady needs. A few royal treats like pastel candies and sugar cookies will offer a great sweet snack for later. Crazy straws, glow sticks, and even ballerina slippers are some unique Cinderella birthday party ideas for return gifts to thank guests. 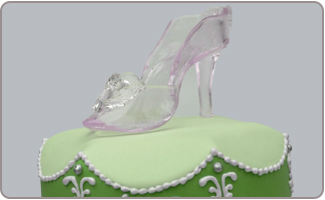 A Cinderella glass slipper cake is a superb choice for the Cinderella birthday party. A cake that has been designed using silver and pink fondant to resemble a delicate silk cushion makes the perfect spot to settle an elegant glass slipper made from icing sugar. Some other Cinderella cakes ideas include decorating a sheet cake with Cinderella cake toppings and icing characters from the movie. Cupcakes and cake pops are also great choices in lieu of a large birthday cake. Use cookie cutters in the shape of crowns, mice, pumpkins, a high heel shoe to resemble a glass slipper, and a castle to cut out princess-themed cookies. There is nothing fancier than a princess tea party, so consider some Cinderella birthday party ideas that involve delicate finger sandwiches, tea sets, lumps of sugar, and fancy pastries. A fun way to offer up soups and dips is to use bread bowls, with crackers affixed to them to look like wheels. Some plastic horses in front of the bread bowl will transform a simple bread bowl of soup or dip into Cinderella's pumpkin coach. Finger foods are always a popular choice with kids so be sure to offer chicken nuggets, pigs in blankets, sliced fruit, and fresh vegetables with dip. Royalty and elegance are the name of the game for this party, so you can take your cue from Cinderella birthday party ideas that include using pastel blue and pink colors for all of the decorations. 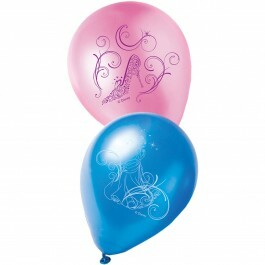 Shimmery pink and blue balloons, for example, can be tied to each of the seats at the table. Create a royal arch by tying balloons together, or a ceiling of floating balloons that contain glow sticks. 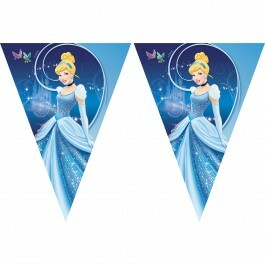 Use streamers and party banners to decorate the party space, along with beautiful posters and vinyl clings decorations to bring more of the Cinderella theme into the party. Decorate the party table using some of our Cinderella party supplies that include plates, cups, napkins, straws, and table cloths fit for any royal table. Consider a solid colored table cloth that can be used for other events. Glass slippers can be found at any wedding or craft supply store and will work as wonderful table decorations. Fill them with pastel candies and set them out as centerpieces. Pastel blue and pink tulle will lend a royal feel to the room when tied around chairs and table legs. Another option is to attach the tulle in the center of the ceiling and then loop it out to the corners of the room. Use poster board and a cardboard box, along with some paints and stickers to create a princess castle that the royal guests can play with and even pose for pictures with.